Aliens Conspiracy theory Dulce, New Mexico Revisited - Mysteries Still Remain! Dulce, New Mexico Revisited - Mysteries Still Remain! DULCE, NEW MEXICO - On Sunday, March 25, I finally arrived at Dulce, New Mexico once again, after more than 17 years. It was a long drive from Los Angeles but it was definitely a worthwhile trip. The last time that I was at this "mysterious" little town was in March of 1990. 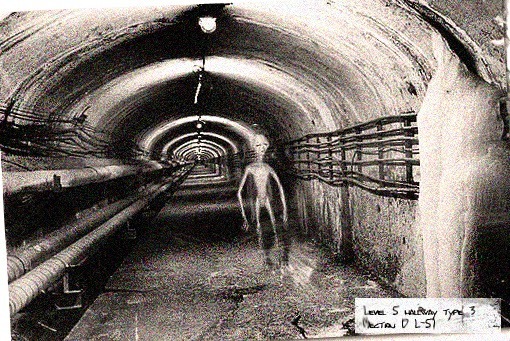 I will never forget that 1990 visit when I first brought a Japanese TV crew, incredible as it may sound, to document an alleged existence of an "underground U.S./alien joint bio-lab" which was rumored to exist deep under the Archuleta Mesa, adjacent to Dulce. While interviewing many Jicarilla Apache locals on the street at that visit, we were inexplicably detained by the then Police Chief, Hoyt Velarde and kept at his office for almost an hour and a half, during which time he had meticulously taken down our personal info, i.e., our ID's, driver's licence numbers and, in my case, even my Soc. Sec. number, if I recall correctly. It was a shock to us then. We had asked him if we were doing anything illegal by interviewing the people, the question to which he never responded. I clearly remember that just before he released us, he told us in a rather warning tone: "Don't you ever ask any more questions regarding such a base. I have nothing to do with it and I do not want to talk about it!" An enigmatic answer, indeed. That was in March of 1990. Now here I am once again, in Dulce. It brought me back lots of memories of 1990. However, this time, as soon as I drove in to Dulce, I immediately noticed that it had completely changed since 1990. It seems to have grown quite a lot, not so much in terms of population, but in terms of its physical appearance. There are now so many new buildings, large and small and many modern local community facilites - a brand new Middle School, a brand new High School, a new Students' Athletic Complex, brand new Police and Maintenance Center, a modern Emergency Medical Service facility, and on the south side, a brand new Student's Residential Complex, and, of course, a newly refurbished Best Western Hotel, all in the small community of less than 3500 residents. Yes, it has been many years, so it would seem natural for some growth to take place. However, the question I began to think was where did all the funds for all these sudden developments come from? And, especially, for such a tiny town? When I interviewed the locals in 1990, I clearly remember that almost every one of them had testified to us that in the late 70's and the early 80's, they had frequently observed strange lights in the sky, especially flying over and around, and even appearing to disappear into the sides of the Mesa. They even testified to us that they also frequently observed military helicopters over Dulce, along with reports of cattle mutilations in the ranches nearby. Those were the things we heard back then when we were in Dulce in 1990. To my great surprise, sightings still seem to continue in and around Dulce, even now!! Even recent sightings of what many describe as "Bigfoot" along the Navajo River is also a fairly new topic of conversation in Dulce now. I was so fortunate this time to personally get to know a friendly family who lives in the northwest area of the town. I had gotten to know the husband while I was attending the UFO syposium in Aztec the weekend before. During my three days of stay in Dulce this time, I have obtained many new, fascinating sighting reports from many locals again, particularly from the family that I just mentioned and their relatives. It was assuring to know that the family that I befriended were immediate relatives of high officials of the Jicarilla Apache tribe. The husband was a son of the former head of the Police Department (way before Hoyt Velarde). His wife is an immediate family of the head of the Jicarilla Apache tribal council. His sister-in-law has been a Dulce Police dispatcher. For this reason, I will refrain from naming any individuals to protect their privacy. My friend's wife told me of a fairly recent incident whereby a huge, silent delta-shaped dark object emitting extremely bright lights slowly passed over a group of 50 to 75 (all their relatives) on a mesa where they were celebrating a traditional Jicarilla Apache feast called the "coming out" feast, a "puberty" celebration for young boys and girls (similar to the Spanish quincenera celebration). The huge object appeared after sundown, an hour or so after their traditional meals had ended and after the shamans had completed their chantings and dances. They were simply stunned to see the huge triangular 'craft' hovering only about 100 feet above the campground. The entire area lit up like daylight. What was more amazing was that after a few minutes of hovering over the area, it suddenly took off with a tremendous gust of wind. Pots and pans were flying all over. Some of the people were almost thrown off their vehicles. Fortunately, no one was injured. Panic spread. The generators failed to re-start and all battery-operated appliances malfunctioned, including the car radios. Another recent incident they recounted was a daytime sighting of a silver, saucer-shaped object at around 11 a.m., which hovered for 30 minutes right next to Hwy 537, not too far from the junction of U.S. 64, north of La Jara Lake. One relative also recounted a recent, unforgettable sighting of a huge, flying "triangle" near Hwy 537, near J-30 (Jicrailla Road, #30), with some type of a "cloaking device" that almost appeared to have a transparent body. The object was described to have been close to half-a-mile in length!! The biggest and most impressive sighting, however, took place in May of 2004 when several families were celebrating together the feast on a Jicarilla Apache campground, located at an area near J-33 and J-40, right near the Continental Divide. Incredibly, it involved hundreds (not just one or two objects) of brilliant objects in the night sky. It literally filled up the entire sky, according to the testimony of the former Dulce police dispatcher. There were close to 100 witnesses to this incredible incident. Some even said that there were probably close to several hundred objects in the night sky. They moved en masse slowly from one end of the sky to the other. It was literally an "armada" of UFOs (which exactly reminded me of the famous, well-documented 1950 mass sightings of UFOs over Farmington, near the Four Corners ara of New Mexico). What was particularly fascinating about this sighting was that everyone also saw a small fleet of military helicopters which seemed to follow the objects. Again, car radios went dead all through the sighting. An interesting point is that many of the appearances of UFOs seem to coincide with various feasts taking place in the Jicarilla Apache reservation. Were 'they' attracted to the Jicarilla feasts? Last but not the least of the impressive Dulce sightings involved a Jicarilla Apache Forerst Service ranger who witnessed a 'craft' of some kind enter the east side of the Archuleta Mesa through several large rocks that appeared to open (almost like a door) and in went the craft into the side of the mesa. He excitedly reported this sighting live on his microphone while he was communicating on his radio with the Forest Service station across the south side of Dulce. The ranger was stationed at the top of the Archuleta Mesa in the look-out building next to the radio communications tower. This took place a few years after a big fire destroyed many of the trees on and around the mesa. (What is still strange about the aftermath of the fire, which they say happened about 10 years ago, is the fact that all attempts for the re-forestation have so far failed on and around the Archuleta Mesa. The trees just don't seem to grow for some strange reason or other. What is my conclusion to all these recent sightings in Dulce? These were all first-hand eyewitnesses to the events. Without doubt, I cannot help but believe that they all saw what they described to have seen. There is no other logical explanation. Lastly, while in Dulce, the son of the former head of the Dulce Police Department took me to the site of Project Gasbuggy. Project Gasbuggy was a rather 'strange' 1967 government project which involved a large underground nuclear explosion (29 kilotons of TNT) deep inside the high plateau area 25 miles south of Dulce, allegedly to release natural gas from deep under the ground. It was a joint project with El Paso Natural Gas Company. What is not frequently mentioned in association with this curious project was that the huge nuclear explosion had created, deep, huge underground extensive caverns all over the area along with extensive natural "tunnels". What this has to do with the ongoing sightings of not only "UFOs" but also alleged sightings of "entities" (including fairly recent sightings of alleged 'Bigfoot' along the Navajo River near Dulce) is up to the reader. We may not necessarily be talking about purely physical phenomena but somehow intertwined with it could be a yet unknown type of "interdimensional" occurrances. But, of course, we cannot rule out any prosaic answers. One theory is that the town of Dulce is benefitting financially by allegedly covering up the dumping of nuclear waste materials (from Los Alamos and elsewhere) into the underground cavities under Dulce and its neighboring areas and have created the entire Dulce "underground base" story as a cover story! Whatever the case may be, it is simply fascinating!! And it is still ongoing in the "mysterious" town of Dulce, New Mexico! !